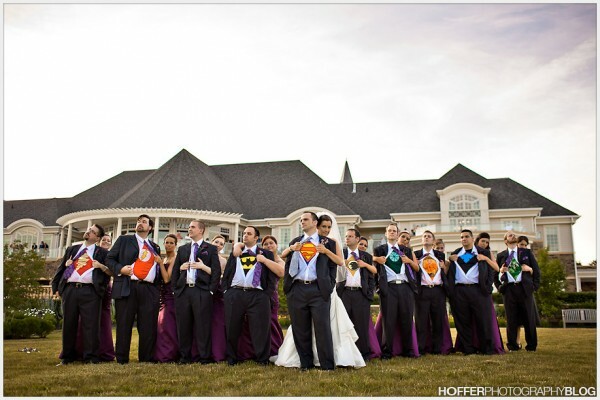 I have no idea who Erin and Tim are but I absolutely love this groomsmen or after wedding ceremony picture they are in. It’s just awesome. Feel free to check out more of their wedding photos at hofferphotography.com. I think it’s time to take this blog in a new direction. I don’t know what that means, but I think it’s time. Our church is doing an angel tree this year and my angel requested new shoes. As a surprise, I slipped in some cash inside the shoes. FamilyGeeding had the honor of lighting the Advent candle at church yesterday. I wish our church made a bigger emphasis on Advent. That is one thing I miss about Irving Bible Church, they did a great job on the significance of Advent. After treating WifeGeeding to a fancy dinner at Golden Corral (you think I’m joking) we watched the Coppell/Trinity football game on channel 21. WifeGeeding was a teacher in Coppell for the last seven or so years and was rooting her heart out, but her poor little heart was crushed as Trinity scored on the last play of the game – the only time they had a lead in the game. The whole game was much a basketball game with a lot of scoring and the team that misses on one possession ends up losing. That’s basically what happened when Coppell failed to score a touchdown in the fourth and settled for a field goal. With yesterday’s win you can bet the family farm that GarrettTop will be the next Cowboys coach. It’s about time Tashard Choice got some carries, too bad it took a Marion Barber injury for it to happen. Trust me on this one, the guy is a more than a good player and a damn good team leader. I don’t like nor do I trust our kicker. You think Jerry is regretting not firing Wade two games earlier? Love that fire that Kitna has. Do any of the Ravens wear pads in the pants? Tis the season for Lexus making feeling like the only way to make my wife happy is to buy her a new car. The Cup Size Choir is one part French lingerie models and one part interactive keyboard piano, and may just be a bit racy for this blog. 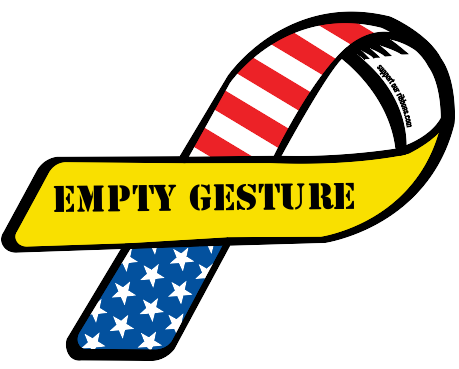 Show how much you almost care with an empty gesture ribbon. I’ve never been a fan of these sort of things on cars or even Christian shirts or the ichthus on a car- I think it’s more important for a person’s deeds to represent one’s life rather than one’s words or symbols. Yeah, sometimes you can buy something like a Livestrong bracelet with money going to support a cause, and I that’s beneficial, but normally I find this sort of stuff just silly. Slap a stick or magnet on your car saying you support the troops and doing nothing else isn’t really supporting the troops. I feel like the WikiLeaks founder is a lot like a Austin Powers evil mastermind. In case you were wondering, it wasn’t until the 1970’s when prisoners started to wear orange. Killing Bono movie trailer – Two brothers attempt to become global rock stars but can only look on as old school friends U2 become the biggest band in the world. Aiden? Nothing wrong with the name, I just haven’t known anyone with the name. 100 most popular baby names of 2010 To be honest, I’m surprised there aren’t more Hispanic names. I'm curious to see what your "new direction" is. "I think it’s time to take this blog in a new direction. I don’t know what that means, but I think it’s time. " I can't imagine this blog getting any better! I'm a huge Tashard Choice fan (I went to Georgia Tech). As much as I hate the Cowboys, I've been asking myself why he didn't get more touches ever since they picked him. He's the future for the Cowboys. I just hope he doesn't play against my Falcons.